Justice Fund JUSTICE FUND EQUAL RIGHTS ORG. 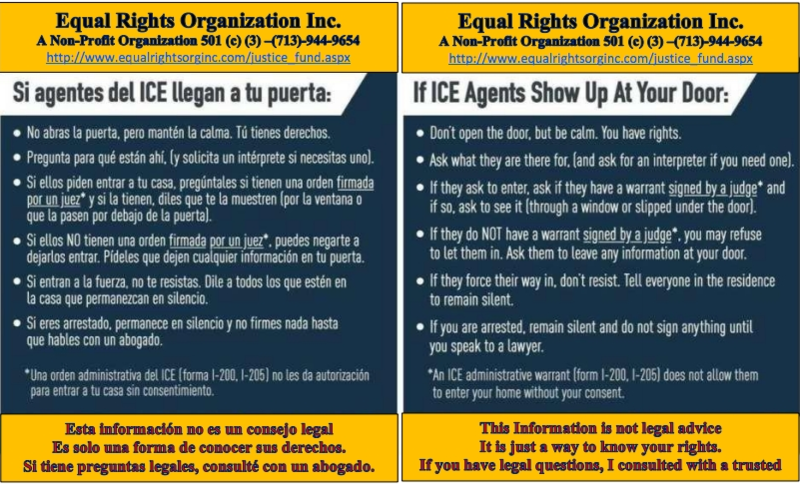 INC. For the Legal Defense of Immigrants / Para la Defensa Legal De Los Inmigrantes. Angels of Help Program Humanitarian Organization. Programa Ángeles de Ayuda Organización Humanitara. 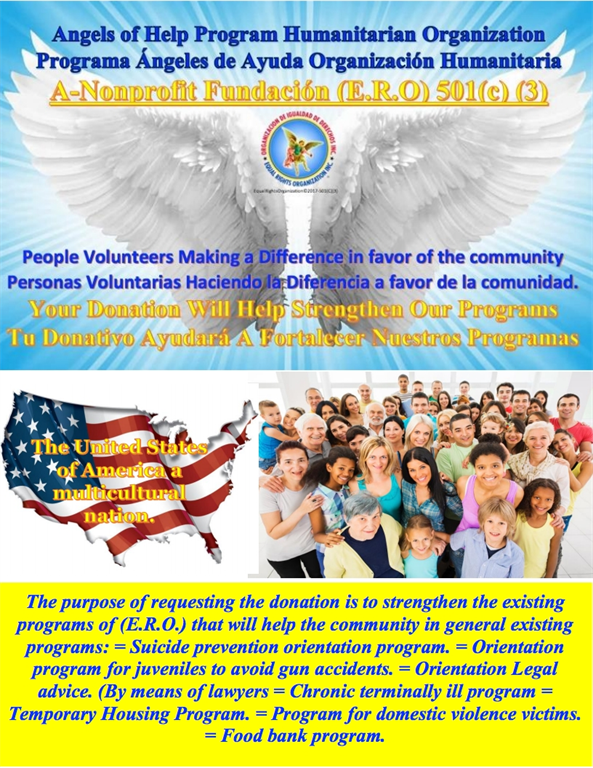 The purpose of requesting the donation is to strengthen the existing programs of (E.R.O.) that will help the community in general existing programs: = Suicide prevention orientation program. = Orientation program for juveniles to avoid gun accidents. = Orientation Legal advice. (By means of lawyers = Chronic terminally ill program = Temporary Housing Program. 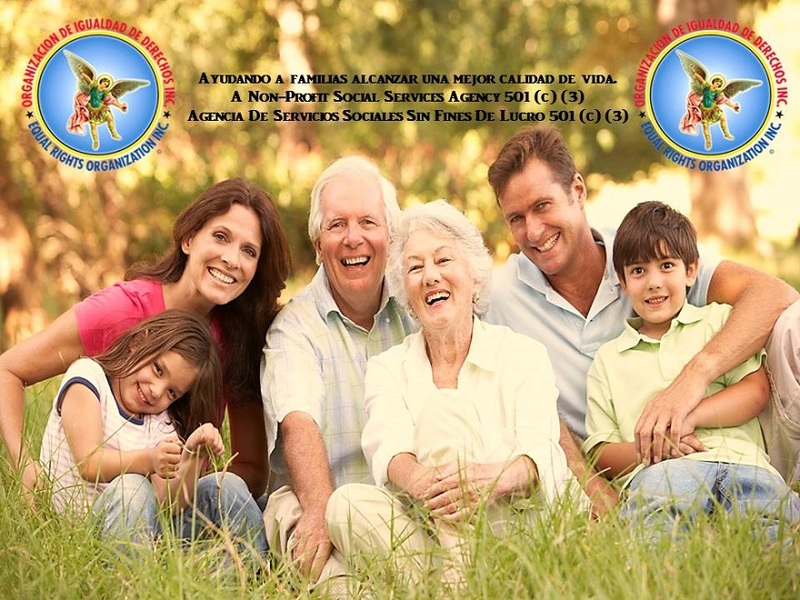 = Program for domestic violence victims. = Food bank program. Campaña de Recaudación de fondos para dar soporte a los programas existentes: como es el banco de comida. =Programa de Enfermos crónicos terminales. =Programa de Vivienda Temporal. =Programa para víctimas de violencia Domestica. =Programa de orientación para la prevención del suicidio.=Orientación Asesoría legal. Por medio de abogados de Inmigración. For the Legal Defense of Families. More than ten thousand people without legal status, In the United States, they are arrested every year. More than half of the increase in arrests is due to detentions of immigrants who have not committed felonies, rather than being in the country without legal permission. These parents have children born in the USA. The figure could dramatically increase under the new immigration priorities. "We are seeing, again and again, a devastating economic impact, in these families suffering from family disintegration and these children without their parents suffer from depression and irreversible emotional damage caused by the separation of the family. Our goal with the campaign. JUSTICE FUND EQUAL RIGHTS ORG. Is to be able to help people get out of immigration prisons and achieve family unification. Prisons are for criminals and not for working families who benefit the economy of this great nation. They make a difference in the community. 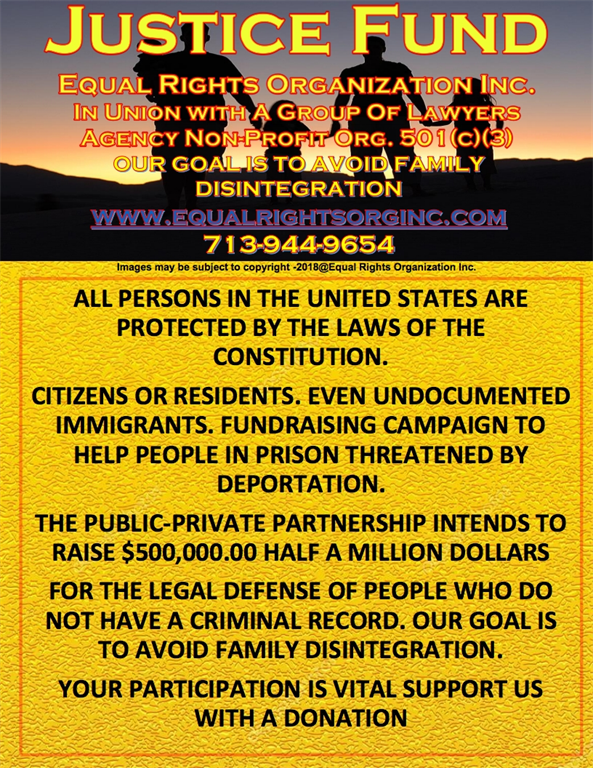 The fundraising campaign for the Legal Defense of foreigners threatened by deportation, who do not have a criminal record, this is a goal that will help individuals have the resources to get out of jail. "Thanks to your donation many families will have a better future." 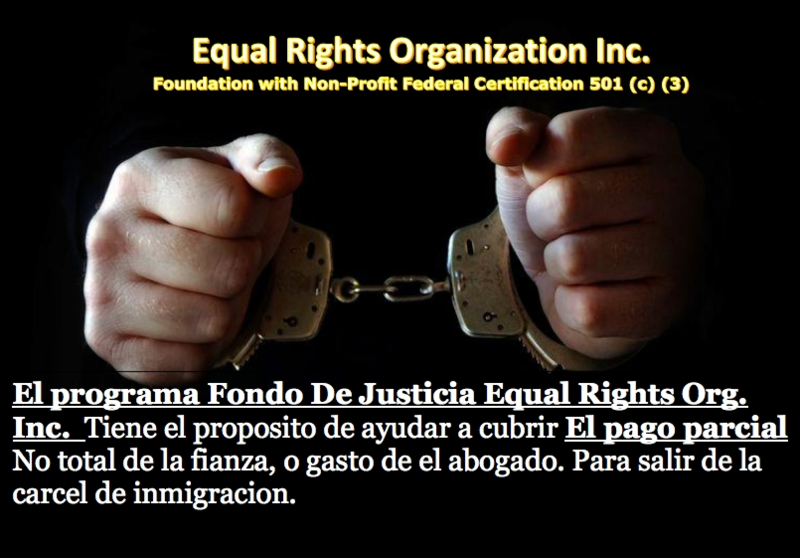 EQUAL RIGHTS ORGANIZATION JUSTICE FUND. Provide assistance for partial payment of legal representation to all people who qualify in the community at large, prioritize the most vulnerable groups. 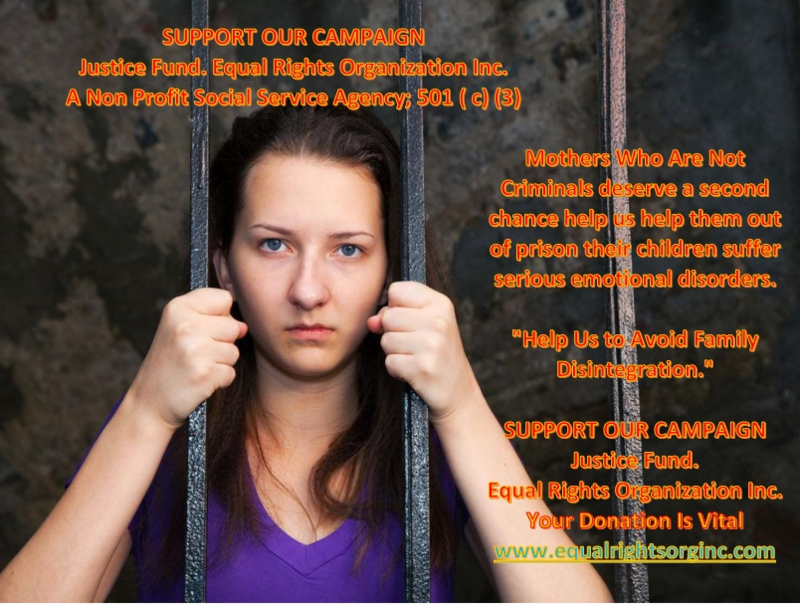 The Organization's equal Rights initiative INC. considers helping in whatever is necessary as there is an economic budget in the program of the Organization (ERO) aid depends on the situation of each particular case. This fund can help people pay the advance of a lawyer's fees, or bail to get out of jail. 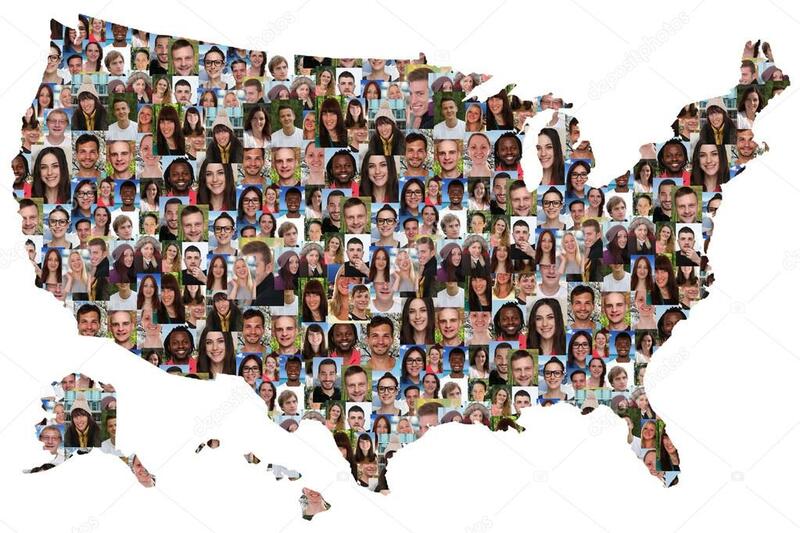 This will be achieved with the participation of lawyers specializing in immigration who participate supporting with low cost of fees and in some cases exit the possibility of representation in Pro-Bono services of voluntary lawyers by means of Equal Rights Organization INC. This will be a fund to provide assistance to an estimated 350 to 450 people or families in the community at large. We hope to have your support, your donation is vital to achieving the purpose. All contributions must be in the name of Equal Rights Organization Inc. The information contained in this page is not legal advice. 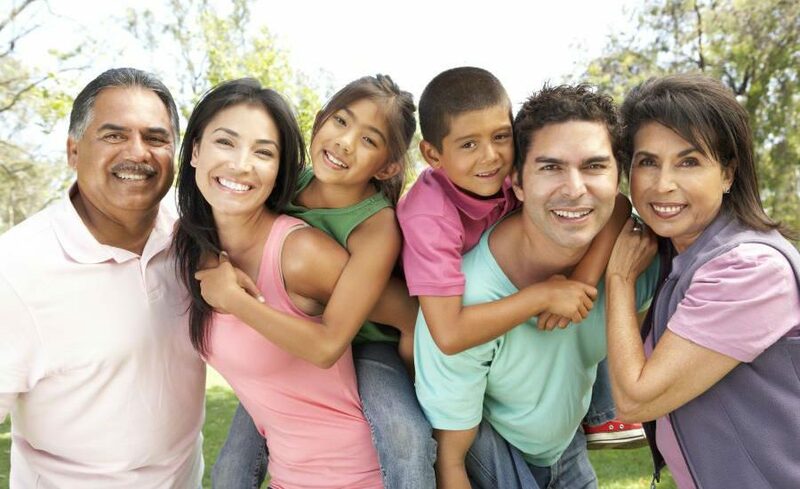 Immigration law is a complicated problem and it is important to find an experienced attorney. The information contained on this page is not a legal advice. Immigration law is a complicated issue and it is important to find an experienced lawyer.